The mission of the Scholar-Leader Academy is to profoundly shape the way our top academic students THINK, ACHIEVE, SERVE and LEAD. Learn specifically how to use the resume function of Naviance to track all of your high school activities, accomplishments, etc. Meetings are held in the cafeteria from 2:45-3:30 on the dates listed below. At several meetings throughout the year, the Scholar Leader Academy will host a guest speaker to address the topic of leadership from his or her unique career vantage point. Scholar Leaders will work in small groups to identify and analyze the key leadership themes of each address. 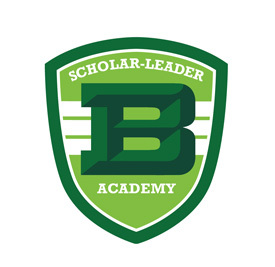 The Scholar Leader Academy tutoring program was established in 2013 as a service project for SLA. Scholar Leaders are required to participate in the program and offer tutoring to fellow students. In 2014, members of the National Honor Society teamed with the SLA to expand the number of available tutors.